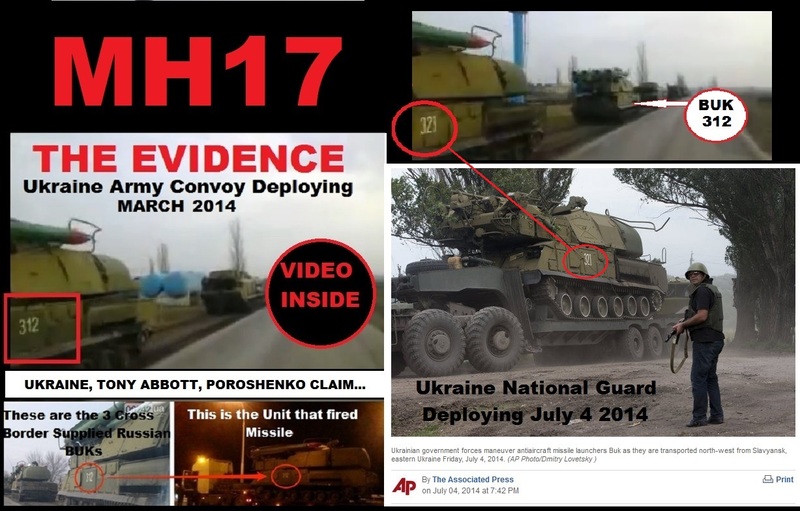 IF it was not a ‪#‎Ukraine‬ ‪#‎SU25‬ that shot down ‪#‎MH17‬ These 2 videos SHOW WHO CONTROLLED THE SAMS (the Buk Rocket battery) that have been identified as having been responsible for shooting the Boeing down. 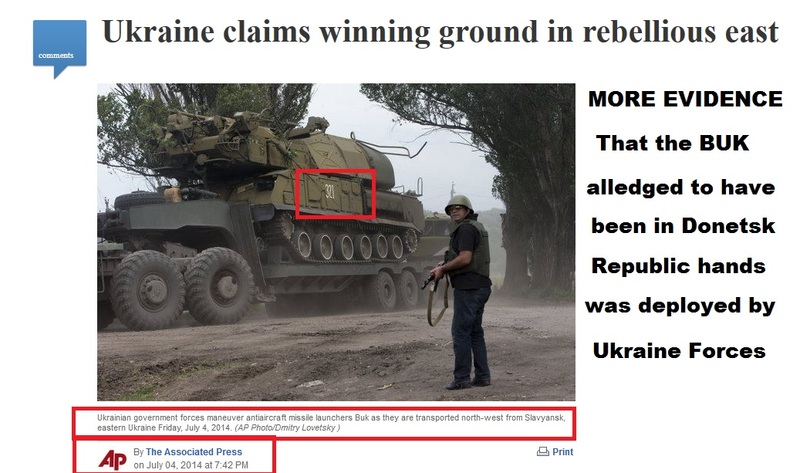 Both 321 and 312 have been identified as deployed with the UKRAINE ARMY while 312 is alleged to have been the battery that shot down MH17. 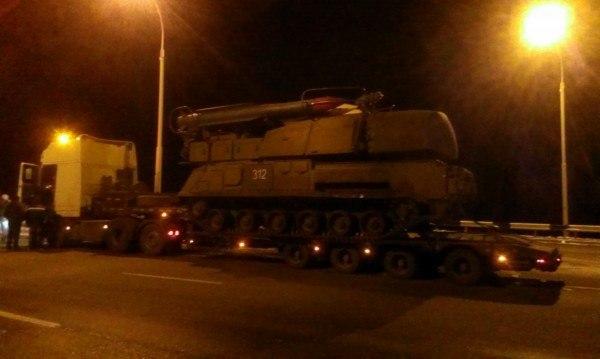 Remember 312 was identified as one of 3 BUKs (Gadflys) M1s that entered Ukraine from Russia last week with 312 shown on TV channels as leaving on a low loader back to Russia minus 2 missiles. QUESTION: These systems include full launching, loading and radio location units. Where were they Why no evidence of those on their way back to Russia? 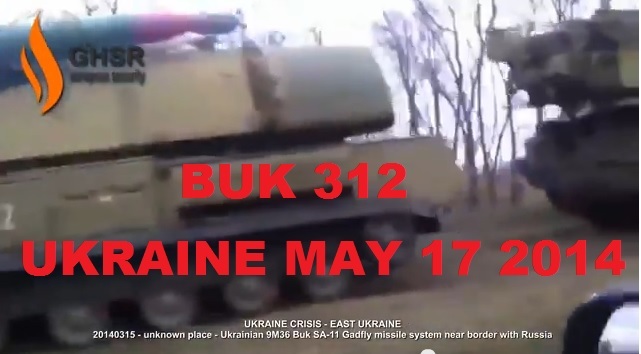 According to Janes an SA-11 or ‘BUK’ M1 missile system, requires 5 minutes set-up active targeting, followed by an additional 22 seconds ‘reaction time’ for target acquisition vectoring and firing. MH17 was only visible for little over a minute .This means it was being tracked “over the horizon” and a deliberate not mistake to be shot down. Therefore one must where is the M1 (NOT M2) tracking unit? It is very clear who theBUK (312) belonged to…. 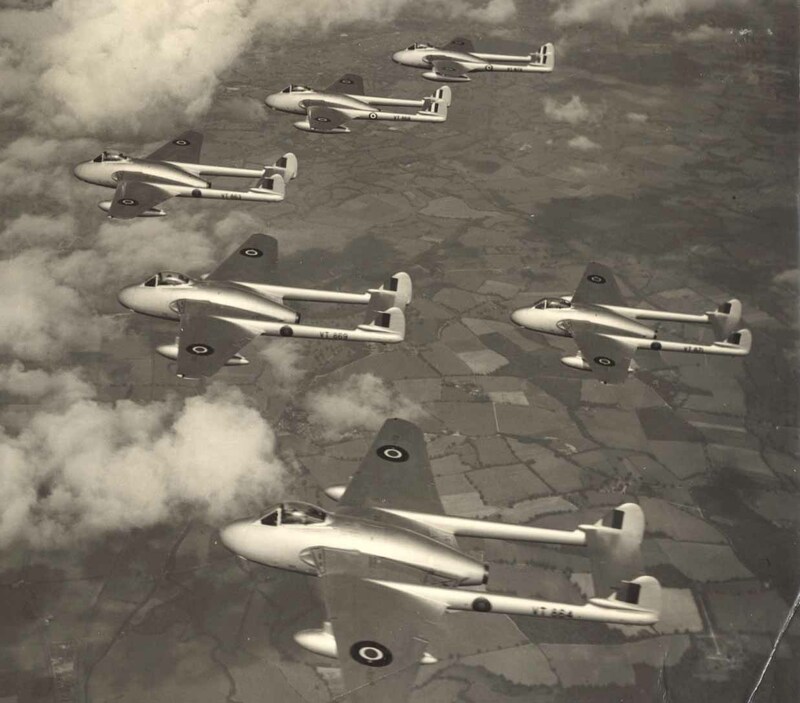 WAS An SU25 The Vampire? This then takes us to the probability it was an SU25 which contrary to ignorance is capable of flying at and above a modern business class jet that are flying the skies today at 30k plus on much less thrust to weight ratio….. that’s with leather chairs, hookers and tons of booze on board. A dedicated military jet is suddenly not capable of doing that just because it does not fit the propaganda. Any idea that an SU 25 today modified or unmodified lightened or unlightened could not reach 33,000 feet is absurd. 2) “Janes Manual” (used for NATO reference) page 208 f.
The pot marked segment of cockpit ABOVE suggests this is what occurred and caused as reported by the Dutch Safty Report “a catastrophic explosion”.